Knowing where your family members are is now made possible, easier and quick with your smartphones. All you need is to download and install a Family Locator application, and let it do the searching afterwards. Now, you might ask what is Family Locator? Family Locator is an application that allows you to locate any member of your family and quickly communicate with them. It is available on iPhone, BlackBerry and Android for use with leading phone carriers including Sprint, ATT and Verizon. 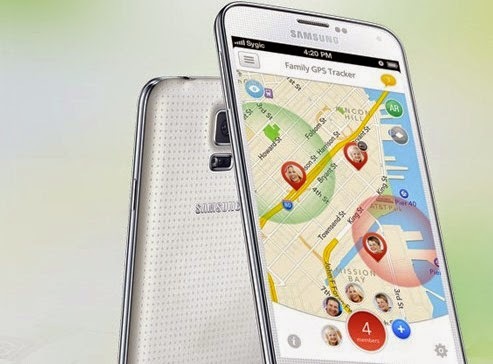 This content will help you deal with issues relevant to the use of Family Locator on your Samsung Galaxy S5. You may refer to this troubleshooting guide, in case you're having some trouble using the Family Locator application on your Galaxy S5 handset. Be sure to perform testing after every method to see if the issue if fixed. If issue persists, then please proceed to the next step. 1. To make sure the problem is not due to coverage area, we suggest you should first ensure you are within your carrier's coverage area when trying to use the application on your device. If you're not sure whether you're in or out of coverage, please contact your network/service carrier for coverage area verification. Some carriers do offer some online tools to help their customers check their wireless service availability. In this regard, try to visit your carrier's official website. For example, Verizon has its own online wireless coverage locator page, in which Verizon customers can verify coverage area for their network or service, for free. a. Tap on Apps from any Home screen. The Apps icon is located in the lower right screen. b. Next, tap on Settings. c. Tap Location to proceed. d. Now tap on the Location switch located at the upper right screen. Be sure to turn it on or ENABLED, if you see it's OFF or disabled. When the switch is green, then it indicates the feature is enabled or turned ON. e. If prompted with the Location consent screen, just tap on Agree. f. If prompted with Google Location consent screen, just tap on Agree to proceed. 3. Once you're ensured GPS is already enabled on your device, activate a family member to trace or locate. Make sure the Family Locator member application has also been installed on the family member's device. This means, they too would need to download and install the Family Locator app on their phones, for you to be able to locate them using the same app on your Galaxy S5. In case any of your family members hasn't yet downloaded/installed the Family Locator app on their devices, please tell them to get it first from Google Play Store . Just let them follow the on-screen prompts and instructions to complete the Family Locator application download and installation process on your Galaxy S5.